Rats are small rodents that require no invitation to your home. They are intelligent and highly resourceful creatures that can survive in almost every environment people inhabit. Despite being a nuisance, they also pose significant health risks. Without knowing many people make their homes conducive breeding places for this little vermin. 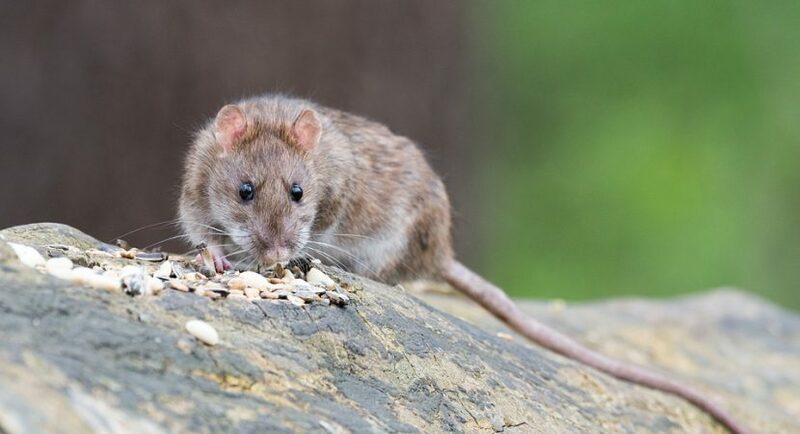 In this article you will learn the risks they pose, how to spot rat activity in your home and effective methods of prevention so that you don’t let rats get into your home. What are the risks of living with Rats? To keep yourself and those you love free from pest-related diseases, don’t let rats get into your home. You can contract rat-bite fever through a bite, scratch or basic contact. This condition may lead to fever, rash, vomiting, swelling, and headache. Salmonellosis is spread by consuming contaminated food and water. This contamination may be caused by urine, feces, saliva, and fur. Its symptoms include diarrhea, vomiting, abdominal cramping, and fever. Direct contact with their urine and feces or inhaling contaminated dust may cause Hantavirus Pulmonary Syndrome (HPS). This is a serious disease and can be fatal. Its symptoms include diarrhea, vomiting, headaches, muscle aches, nausea, vomiting, coughing and shortness of breath. Rats also carry other disease-causing pests such as fleas and ticks. A Tick that has sucked blood from a rat can spread Colorado Tick Fever which causes fatigue, headache, rashes, abdominal pain, and vomiting. Fleas, on the other hand, are responsible for spreading Plague. Delirium, fever, and lung infection are some of its symptoms. Proper pest control is required to keep health risks from such parasites at bay. Rats will eat and contaminate any food that is left exposed or uncovered. This makes the food unfit for human consumption. They are also notorious for biting through walls, clothes, and cables. If you don’t get rid of rats before the infestation grows, you may have to do some renovation and replace destroyed clothes and electronics. • Bad smells coming from crevices probably from rotting food. It is not difficult to get rid of rats, but the best solution is to avoid having an infestation altogether. The following methods can go a long way in keeping them out. Declutter – Their small size enables them to hide in plain sight. Get rid of all the things that are not used regularly or store them properly. Always maintain high standards of neatness and organization in your home. This also applies to your compound. Proper food storage – Exposed food is an open invitation to rats. Air tight containers are perfect for the job. Don’t leave food out for pets. Only feed them when they’re going to eat. Give them enough food but not in quantities that will be left over. Maintain the exterior of your house in peak condition – Check for any damage that can be used as an entry point. These include vents, piping, door and window frames, cracks and any corrosion on your foundation. Be sure to fix any noticeable issues promptly as rats can squeeze themselves through the tiniest of holes. Fix Leaks – Rats need water to survive. Leaks and clogged drains will encourage infestation. In addition, also ensure that basements, attics and any potential breeding zone is well ventilated and dry. Buy a hunting Cat – Rats will keep as far away from cats as possible. The sight or smell of a cat will get them scampering away. Felines are also expert hunters just be the perfect pest control method for rats. Keeping Rats away from your home is not as difficult as it may seem, but it requires consistent and deliberate efforts to keep your house clean and tidy as well as regular inspection of your compound.